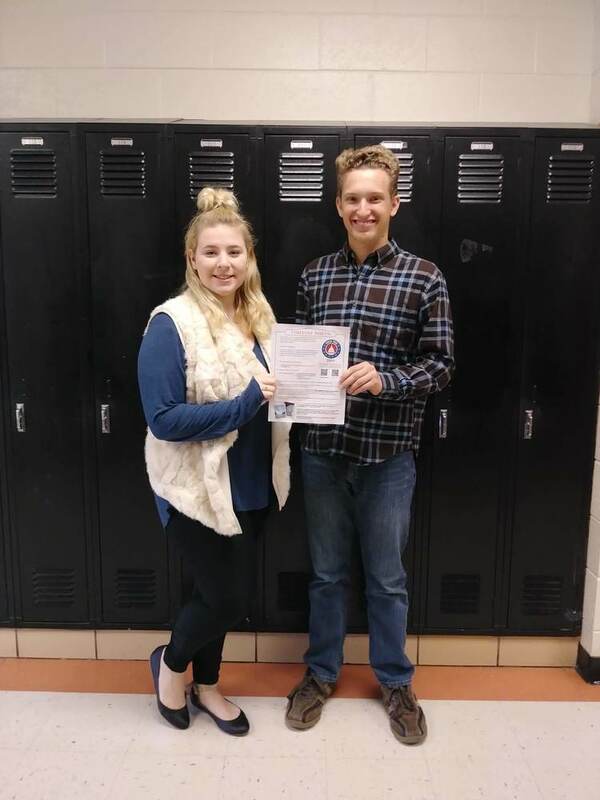 Grace Hand and Gage Mitchusson are two of ten finalists for the Laclede Electric Youth Tour Essay Contest. There were 174 essays submitted to the contest from eight surrounding schools. Grace and Gage will compete against eight finalists by taking a test on cooperatives and presenting their essay on April 16th. Judges will then determine which four of the ten finalists will attend an all-expense-paid trip to Washington D.C. in June. The other six finalists will attend Laclede Electric's Cooperative Youth Conference and Leadership Experience in Jefferson City in July. This contest is open to all juniors in a high school or home-schooled within the Laclede Electric Cooperative service area.